Walt Disney's magic is alive and well, especially inside of his Disney World resort in Orlando, Florida. One of the parks there, Epcot, is home to a massive greenhouse where giant produce grows. 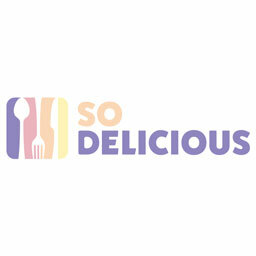 It's almost like a Wonka wonderland, but for fruits and vegetables instead of confectionaries. You can find the greenhouse, and its unrealistically large produce, inside of the Living Off The Land ride inside of Epcot. Once you've taken the ride, there's also a tour available where you can go deep inside the workings of this seemingly mystical growing facility. Take this gargantuan winter melon, for example, which weighs approximately 80 pounds. It's a massive one, but not the biggest ever grown in "The Land," as the greenhouse is referred to. Some have gotten large enough to flirt with the 100-pound mark. 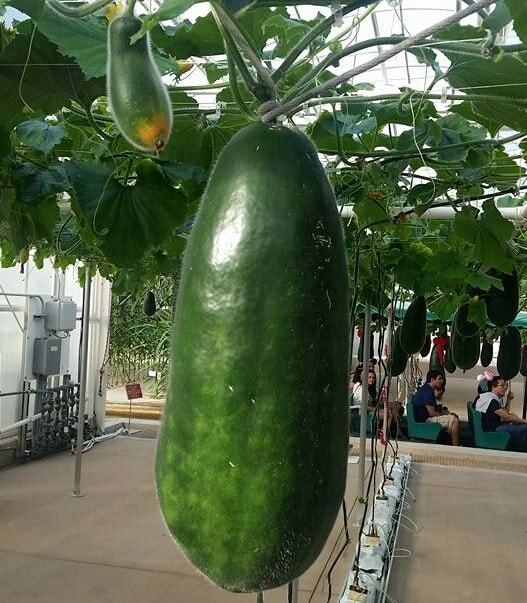 These melons get so big thanks to the different agricultural practices employed by the team running the greenhouse. According to Les Frey, horticulturalist and the Student Program Manager of Agricultural Sciences at Epcot, the larger-than-life plants are natural varieties. "We provide an optimum growing environment for our plants which allows them to achieve their maximum potential," he says. A key part of that optimal environment is hydroponics, where water is used as a medium for nutrients rather than regular soil. "Essentially plants need five things to grow: support, water, aeration, nutrients, and sunlight," Frey said. "By monitoring for pests and diseases, controlling the temperature, and providing nutrition to the plants as needed we are creating an optimum growing environment. This allows the plants to achieve their maximum potential." As a result, the hydroponically-grown plants have exorbitant sizes they can achieve. 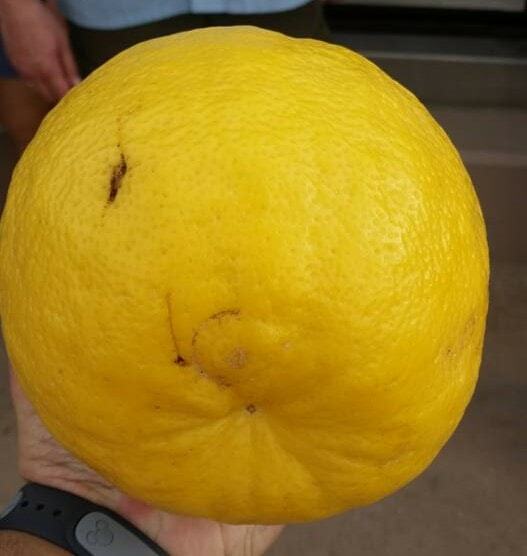 This Ponderosa lemon, for example, is the size of a basketball and weighs approximately nine pounds. Frey has observed the citrus to get even bigger, at a stunning 15 pounds. He's also seen pumpkins that weigh as much as a human, at 200 pounds. Size isn't the only thing that gets taken to new extremes at the greenhouse. 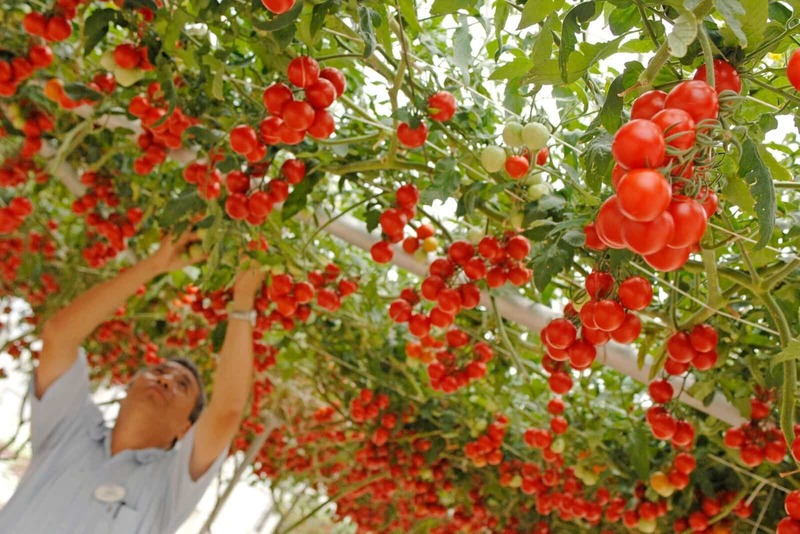 The yields of several of the plants inside, including lettuce and tomatoes, are also increased to unprecedented levels. "We also have a world record for a tomato plant that produced over 1150 pounds of tomatoes in its lifetime," Frey claims. "The plant lived 13 months and produced over 13,000 fruit." Hydroponics isn't the only technology being used at Disney World's greenhouse, however. Vertical farming is used to get as much yield out of a tall space like a green house as possible. 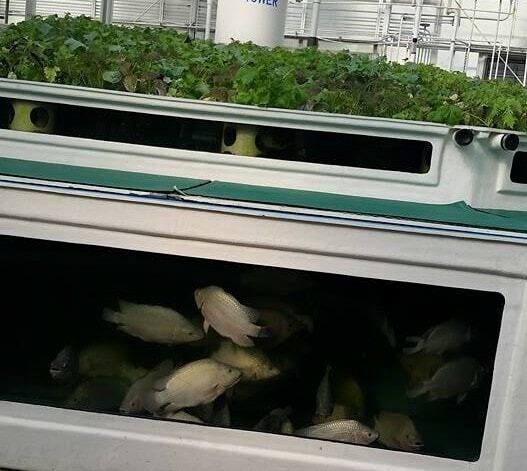 There's also aquaponics, which involve the joint raising of fish and vegetables together. The fish provide "fertilizer" from their waste material, which is then used to fuel the growth of the connected plants. The greenhouse isn't just for show, although Frey mentioned that many people marvel at the massive produce inside. It goes off to restaurants around the resort to be used there, and the animals in Animal Kingdom also benefit off of the fruits of the greenhouse team's labor. So chances are that if you've eaten at a Disney World restaurant, you've been a beneficiary of the marvels going on inside of this magical greenhouse. The greenhouse is open for tours between 10:30am-4:30pm daily so you can see some of these Wonka-esque plants for yourself. For those wondering, tours can be set up in advance, but there's also a counter nearby the Living Off The Land ride where same-day tours can also be scheduled. Local students interested in being a part of the program can also sign up to be interns that help take care of and run the facility.